Marianna Smith grew up along Lake Michigan in Ludington, Michigan. Interested in bridging cultural and language barriers to confront global problems, she pursued degrees in intercultural communication and Spanish from Alma College in Michigan. While at Alma, Marianna taught English in Costa Rica through a Posey Global Fellowship, researched leadership during war and conflict in Western Europe, and studied abroad as a Benjamin A. Gilman Scholar in Valparaiso, Chile. Marianna also created and implemented a Model United Nations Program in Gurgaon, India, teaching young people about the Sustainable Development Goals. She also spent time interning at the US Embassy in La Paz, Bolivia with much of her work focusing on the protection of Bolivian cultural patrimony. Following college, Marianna worked as a Migrant Program Worker for the Michigan Department of Health and Human Services. While managing migrant Medicaid and food assistance cases, Marianna gained greater insight into some of the push factors of immigration. 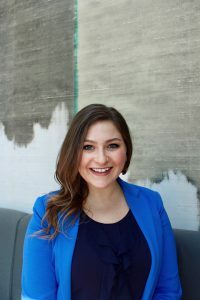 Eager to address these issues and promote economic prosperity, she began working as a Program Coordinator at Meridian International Center on the Department of State Young Leaders of the Americas Initiative (YLAI). Marianna is excited to be the face of the American people abroad while collaborating with the international community and private sector to confront shared global problems as a Program Officer. She will be pursuing a Master of Public Policy with concentrations in policy analysis and international development. In her spare time, Marianna enjoys dancing and loves to use movement as a way to learn about other cultures. She also enjoys swimming, hiking, and anything outdoors.